We love Christmas and are super excited to have Santa visit Central Square again this year. If you want to give Santa a hug or sit on his knee then be sure to visit the centre between the 12th and 24th of December from 1pm to 4pm. Merry Christmas from the team at Central Square. 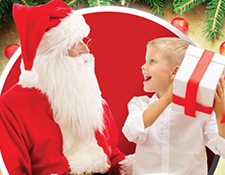 *Customers can receive a free USB of their photos with Santa when they provide an email address to join Central Square newsletter list that they can unsubscribe from at any time. Offer valid from 12th December to 24th December. One USB per photo shoot. 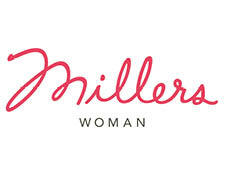 'At Millers, everything we do, every piece of clothing we make and every design we create is all for ‘our woman’. 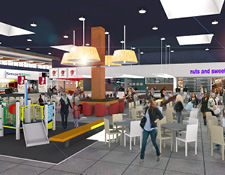 We've received our first artist impressions of our new and improved food court and we are exciting with what's around the corner. - Ruggles Drycleaners have now relocated and are back in business and the Central Square Delicatessen will be moving in October. Completion dates are yet to be confirmed but we will keep our customers updated as changes take place. We thank you in advance for any short-term inconveniences but hope you are as excited as we are! *Please note, these images are artist impressions and may not be the final product. Save Up To $35 on a Topwash! 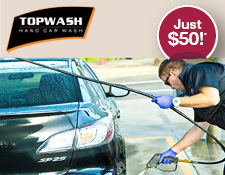 If you love your car or if your Dad loves his car then visit Topwash and buy a $50 Topwash! It's a great gift for yourself or for Father's Day. Usually costing for a Sedan $69, SUV $79 & 4WD $85. *Offer valid to the 6th September, 2015. Up to 10% Off All Fruit & Vegies! 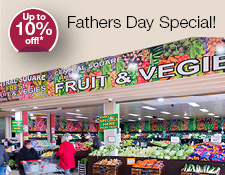 Leading up to Father's Day Central Square Fruit & Vegies are discounting all customers! For every spend over $10 take 5% off your basket! For every spend over $25 take 10% off your basket! If you're planning on cooking your Dad a birthday meal then be sure to shop at Central Square Fruit & Vegies between Thursday 3rd of September until Sunday 6th of September. *Minimum purchase of $10 required. Discount only applies to fruit & vegies, not grocery items. Offer valid 3/09 to 6/05, 2015.